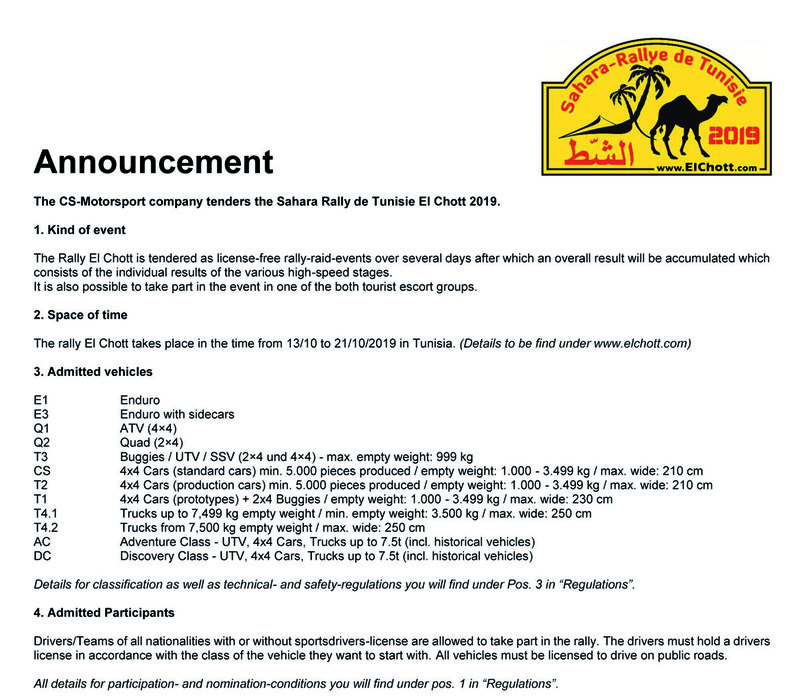 Just in time for the end of the year 2018, we are again offering an additional Xmas bonus on the early booker participation fee of the Rally El Chott 2019 for those who are determined to make a fast decision. Just in time for Xmas, but also for all other occasions where a present for rally drivers and other adventurers in the family or under friends is needed. Order simply online in the shop and pay conveniently by PayPal. -> click here !